Brought to you by the fine and well travelled New York Times. With everyone's life seemingly becoming busier and busier, a weekend is needed more than ever to recharge. Rather than sit around and watch a marathon of Sons of Anarchy or completing start to finish the latest Call of Duty video game, why not jaunt of the Europe for 36 hours of fun that only the Europeans know how to have? 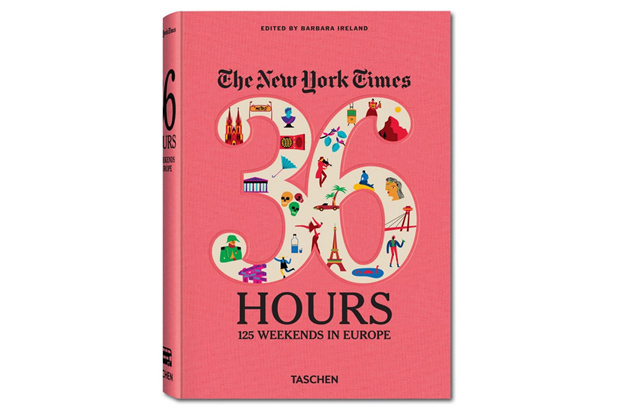 Even in times of fiscal restraint, the average European knows how to relax, and the New York Times have compiled 125 separate weekend getaways that cover the entire continent. Of course, being a Taschen release means that all the wonderful words are supported by equally wonderful photography. Soooo...why not fire up that Amex card and get started on knocking that 125 number down a few pegs. You can get your copy here.